Many factors contribute to the ageing process; including diet and lifestyle, exposure to sun and pollution and of course stress. The main areas we begin to notice our faces ageing is around the eyes and mouth as our muscles begin to lose tone. Facial Rejuvenation Acupuncture stimulates acupuncture points near these sagging muscles to tighten and lift the area. Needles are also inserted into fine lines and wrinkles along the crease, this creates a very small wound which the body endeavours to repair by producing collagen, which will gradually fill the crease so the wrinkles appear diminished and some fine lines will disappear altogether. Other benefits of Facial Rejuvenation Acupuncture are an overall lifting effect, increased muscle tone, bags and puffiness may appear lessened and the quality of the skin can be vastly improved due to the increased circulation of blood and lymph to the skin’s surface. Although Facial Rejuvenation Acupuncture does not deliver the immediate, dramatic results achieved by more invasive treatments and surgery it is a viable option for anyone wanting to slow the ageing process down NATURALLY, with gentle, subtle effects. Initially a course of treatments is required and changes are notable after the 3rd or 4th session, but many people report improvements after the initial session, especially brighter eyes, clearer complexion and improved sleep patterns. Like the idea but aren't sure if it’s for you? 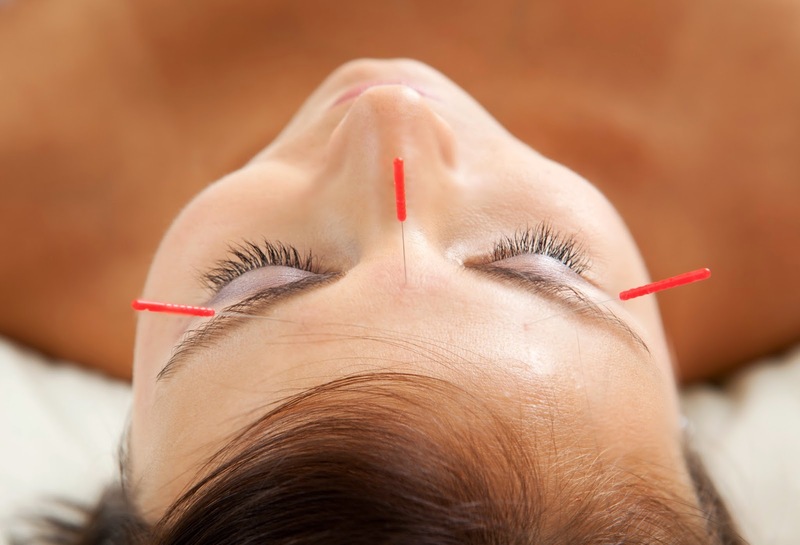 Then why not book a FREE 20 minute consultation where we can discuss your areas of concern and you can see the needles used and even experience one or two to see if FACIAL REJUVENATION ACUPUNCTURE is suitable for you. This therapy is especially useful the areas of tension and muscle tightness over the upper and lower back and on the face. When used on the face hot and cold stones can help soothe headaches and the pain associated with congestion and sinus problems as well as relaxing the facial muscles to give a clearer, smoother look to the complexion. The use of cool stones around the eyes helps to decongest the region, reducing dark circles. February is the month of romance. It is now estimated that around one billion Valentine cards are sent worldwide each year, making Valentines Day the second largest card-sending day of the year, behind Christmas! Instead of giving a mass-produced, corny valentine card this year how about a romantic evening in? Use essential oils to scent the air and create that romantic mood! Smell is our most powerful of senses that is vastly underestimated and under utilised! Our sense of smell has a strong effect on our mind and emotions; it can transport us to another place and set the scene for romance. Essential oils are a simple way to create the right atmosphere for love and romance. Sweet smelling oils have been sought after since antiquity as aphrodisiacs! The best aphrodisiac oils have warm, rich aromas. The rose is the symbol of love and this luxurious oil is the oil of love, femininity and emotional feelings. Rose essential oil is harmonising, comforting and has a serenely romantic scent. It helps to open hearts, promotes a sense of happiness and can help to rekindle that spark! Jasmine oil is an exotic oil and a powerful aphrodisiac that has long been considered as a fertility herb by most cultures. Jasmine oil has a seductive aroma that helps to move emotional blocks, is deeply floral, warm and inviting. Ginger oil is hot, spicy and invigorating. Its stimulating fragrance opens the heart and raises the body temperature! Patchouli oil promotes relaxation and eases pressure and mental strain. This musky, earthy oil is balancing and grounding, perfect for easing anxiety. Clary sage is noted for its euphoric properties as well as being harmonising, centring and calming. Ylang ylang translates as the ‘flower of flowers’ and possesses aphrodisiac properties. This sweet and deeply exotic oil is a good balance between masculine and feminine scents. In Indonesia newlyweds beds are strewn with ylang ylang flowers as a symbol of love. There are many ways to use essential oils to create a romantic mood, either on their own or in a blend of two or three different oils. The best way is in an oil burner or diffuser to scent the room. Other ways to use oils are as a perfume, by adding 2-3 drops to 10ml of almond or grapeseed oil and dabbing behind the ears or on the wrists. Adding essential oils to the bath is another popular way. Scientific research has shown that scents directly affect our consciousness. Good smells lift our spirits, calm or excite our minds and inspire passion- so use with caution! By this time in winter the majority of us will have succumbed to at least one cold, and some of you may have had the awful ‘flu virus that has debilitated so many people. Anything that can help ease and alleviate some of the miserable symptoms is welcome. That is why many of us will have used eucalyptus oil in some form or another. Eucalyptus is one of the main ingredients in the Vicks range of products and Olbas oil; both designed to help decongest and ease cold symptoms. 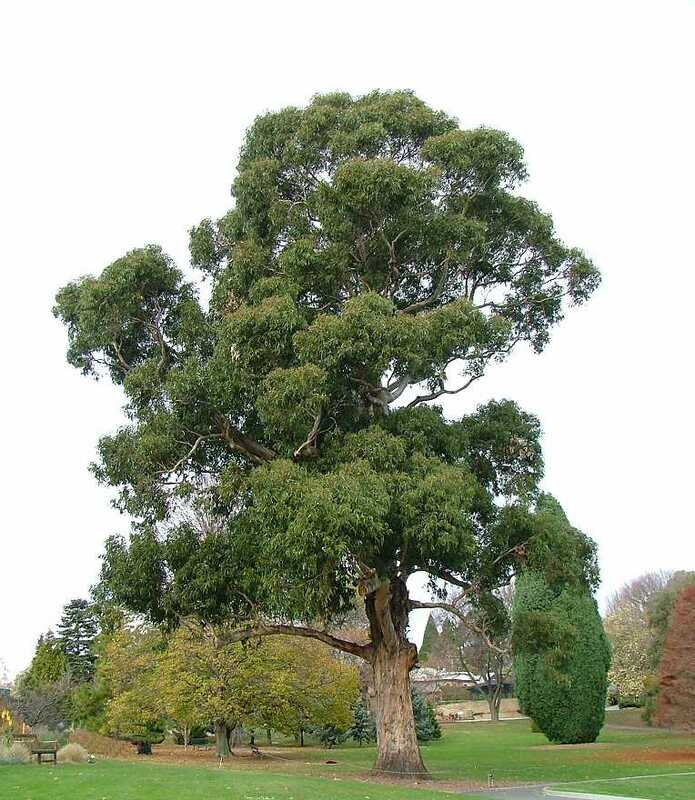 The evergreen eucalyptus tree is a member of the Myrtaceae family that can grow over 100 metres, making it one of the world’s tallest trees. The tree has pale blue-green leaves and the unopened buds are vase-shaped and possess a “cap” that falls off during the blooming process. It is this cap-like membrane that gives the tree its common name, being derived from the Greek eucalyptos, meaning ‘well covered’. Eucalyptus is native to Australia and Tasmania but is now grown the world over. There are over 700 varieties of eucalyptus, and essential oil can be obtained from over 500 of those. The most commonly used oil is Eucalyptus Globulus, but other oils used by aromatherapists include Eucalyptus Smithii, a gentle acting oil making it a more suitable choice for children and the elderly; Eucalyptus Radiata, useful for fighting viral infections; Eucalyptus Citriodora which has a beautiful lemon scent excellent for rheumatic pain, and the clearing Eucalyptus Dives which has a strong peppermint scent. Eucalyptus Globulus is the most cultivated of the eucalyptus trees and so the oil is easily obtained. Also known as Blue Gum, it is the gum tree that Kookaburra sits in the Australian children’s song. This particular variety is also responsible for the blue haze that can be witnessed in the Blue Mountains, just outside Sydney. The mountains are covered with eucalyptus trees and it is fine droplets of volatile oil that disperses into the atmosphere from the eucalyptus leaves that creates the blue mist. Eucalyptus was first used by the Australian Aborigines, who chewed the roots for water in periods of drought. They believed the tree had special powers and used all parts of the tree extensively. The leaves were used to treat all manner of infections, fever and disease and the wood was prized for making tools and bowls. French naturalist Jacques-Julien Houtou de Labillardière was noted for his descriptions of the flora of Australia and named it the ‘fever tree’ due to its strong anti-infectious powers. Eucalyptus trees were planted in malarial countries, due to the powerful drying action of the roots on the soil helping drain the land producing a healthier climate. Nowadays eucalyptus oil is used the world over as a major expectorant and anti-catarrhal essential oil. The oil is unparalleled in its ability to clear the respiratory system of phlegm. Add to that its antibacterial and antiviral actions it is obvious why eucalyptus has become the oil of choice when trying to alleviate symptoms of the common cold, sinusitis, laryngitis and chronic bronchitis. This stimulating and decongesting oil is also good for easing rheumatic and muscular pain as well as neuralgia. It is effective in all types of fever, as its cooling effect helps to lower body temperature. It is also used in the treatment of cuts, wounds and inflammatory conditions as it prevents bacterial growth and aids construction of new tissue. On an emotional level eucalyptus opens the lungs and improves breathing, which in turn calms the body and mind. It has a fresh, pungent scent that is strangely soothing and cooling and can help to dispel lethargy and promote a more positive outlook. Eucalyptus oils are powerful and should be used with care, in small doses (2-3 drops maximum in suitable carrier oil). Anyone with a medical condition should consult a clinical aromatherapist for guidance. Christmas is a sensory feast. Visually our eyes are assaulted with colour and sparkle, our eyes with carols and the cheesy Christmas numbers that come out every year and who can forget the magic of listening for Santa’s sleigh bells. But smells can be the most evocative, one whiff of dried fruit and spices can transport us back to Granny’s kitchen, stirring the Christmas cake and making a wish. Creating delicious aromas around the house is so easy with essential oils. Wrapping paper, ribbon and even Christmas cards can be infused with seasonal scents. Place your items in a plastic bag, add a couple of cotton wool balls dropped with essential oils (3-4 drops), seal the bag securely and leave in a warm place for 1-3 days. There are many rustic style decorations available these days, try adding a drop of essential oil to anything wooden, terracotta or any other porous material to scent the whole home. This technique works well with pine and other tree cones, either piled into a bowl or tied individually with ribbon. 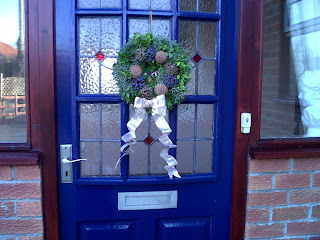 For anyone who enjoys crafts try adding essential oils to air-dry clay and creating some homemade scented decorations. Candle making kits are good fun and by adding oils to the warm candle wax before setting you can create lovely Christmas candles to keep or give as gifts. Add the following drops to a small glass bottle and shake well, then use as suggested above. (Not for use on the skin). Christmas Tree Blend- 10 drops Silver Fir, 10 drops Pine- both fir and pine have many health giving benefits including being powerful expectorants and antiseptic so vaporisation of these oils can help stop the spread of infection and clear a stuffy nose all in one go! What’s more the fresh green scent can boost the emotions by uplifting and alleviating downheartedness and negative feelings. Mulled Wine Blend – 7 drops Cinnamon, 3 drops Clove and 10 drops Sweet Orange- this gorgeous blend really does make the mouth water but don’t be tempted to drink it, save it for filling your home with the wonderful aroma of a festive Christmas. Cinnamon and clove are both great for easing the respiratory system helping to clear head and chest colds. Aromatherapists use these oils in the treatment of depression and feelings of weakness. Sweet orange is an uplifting, cheering oil so this blend is a great stress reliever. Star of Bethlehem Blend– my top fragrance! A blend of 10 drops Frankincense and 10 drops Myrrh this oil creates an ethereal atmosphere, its gentle scent being relaxing and calming. Both frankincense and myrrh contain a high proportion of sesquiterpenes, compounds that stimulate the part of the brain that controls emotions making this a useful blend to create an air of tranquility in an otherwise chaotic household! Some may find this blend a little too ‘churchy’ if this is the case try adding a citrus oil to the blend; good ones to try are lemon or mandarin essential oils. However you scent your home I wish you all a Very Merry Christmas. I have a poorly little boy and this is how we have used aromatherapy to speed his recuperation along. One drop of the blend was added to 5ml of sweet almond oil and gently massaged into his chest, front and back and over the soles of his feet. The rest of the blend was added to a vapouriser to fill the room with its delicious scent, helping to purify the air. As always please do not hesitate to contact me if you require any further advice. Paula Hinton Aromatherapy. Watermark theme. Powered by Blogger.